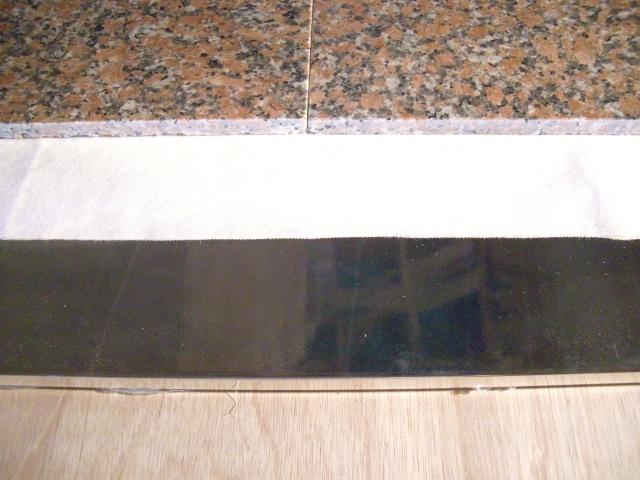 Ganban Yoku. The stone sauna. 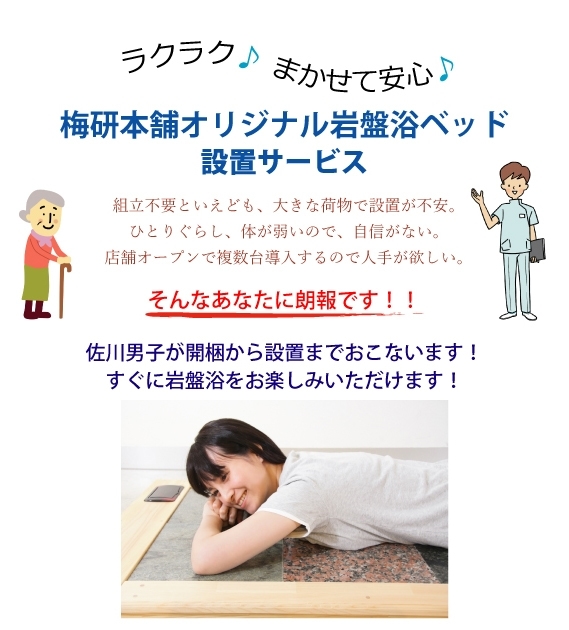 You lay on the heated rock bed to warm your body. 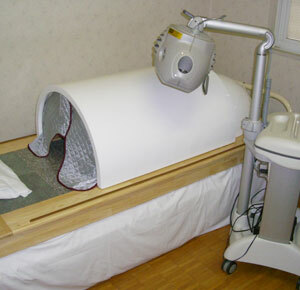 In addition, your metabolism is quickened by the far infrared rays and the negative air ions emitted by the rock bed. 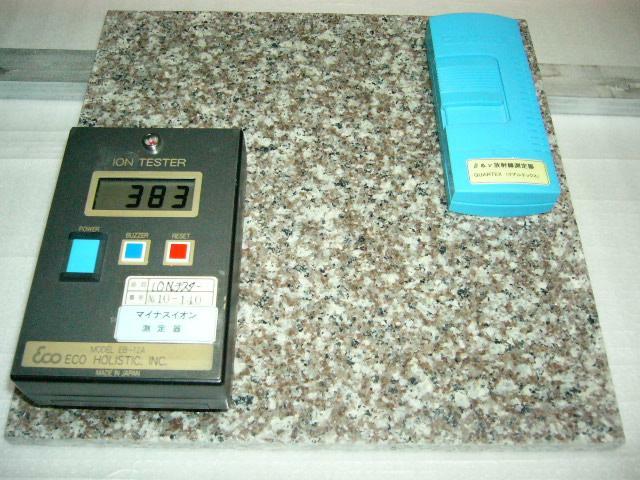 The Genuine hot spa stone bed of Umeken Company. 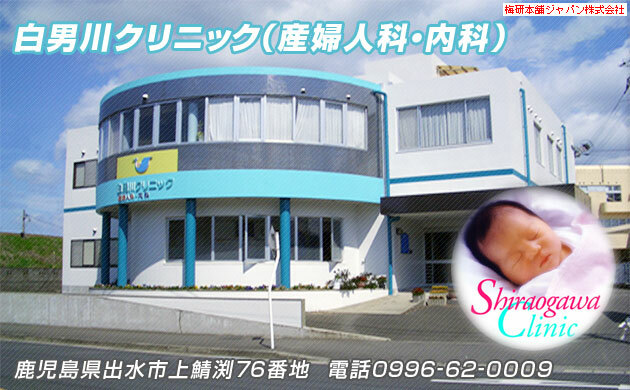 We have customers who has the following impressions, and they enjoy using our bed. 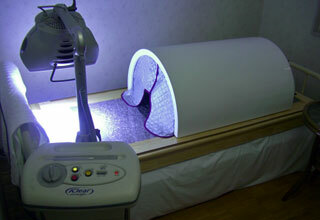 We have received feed back from customers who have actually bought and used our bed. Here are just a few of the examples we have gotten. Relaxation, perspiration dieting, fatigue recovery after you moved and do sports, and warm-up before you do sports. 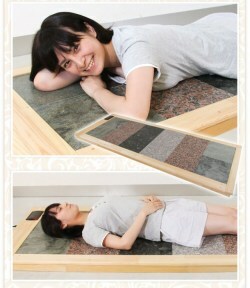 We got some delightful feedback from our customers who used the hot spa stone bed. They love how easily accessible it is in their own home. They say the bed is very effective. 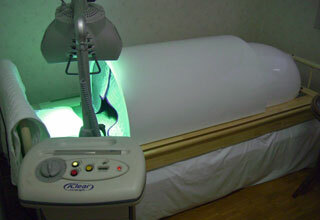 The bed is used not only at hot springs and salons, but also at chiropractor clinics and hospitals. So the genuine bed is suitable for various uses. Pre-constructed, you merely need to install it. 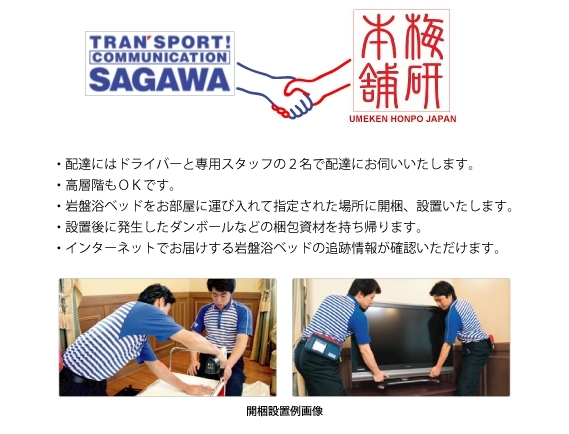 You can use it the same day it is delivered. Furthermore, the bed is movable. 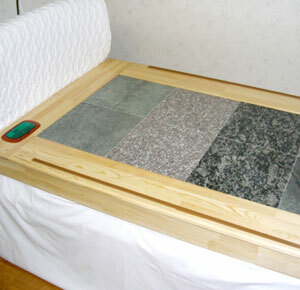 When you use this bed, you set 12 rock boards, which are made from natural ore, on the bed. Then you just plug it in. If you remodel your room and want to move your bed, don't worry, it's movable. You can also change the arrangement of the four kinds of rock boards. Here are just a few arrangements. You can choose even only one kind of bedrock. 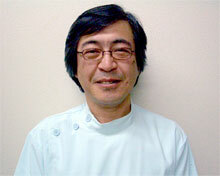 The bed is a dry system, not steam, so when using the bed, it is much more comfortable and pleasant. As a result, the air in the room stays fresh. 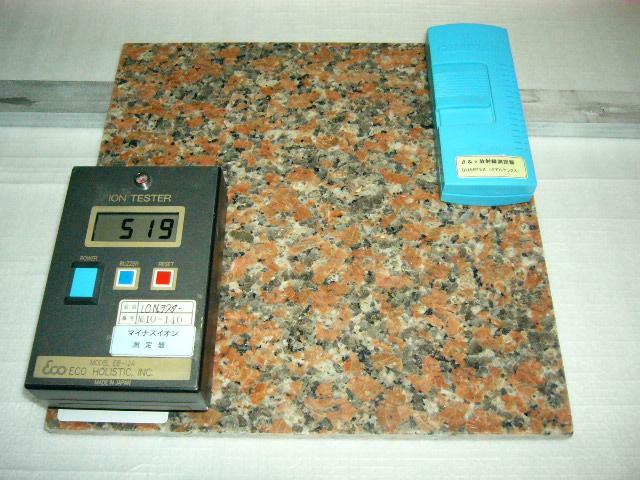 The recommended temperature of the rock board is 40-45 degrees, but you can adjust the temperature according to your needs. When you sleep, you can keep the bed at a comfortable temperature of 30 degrees. 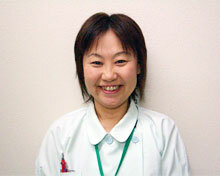 There are also customers who choose to spread sheets over the bed. Even if the sweat falls on to the bedrock, it immediately evaporates because of the heat. The sweat turns into good moisture for the skin by the interfacial revitalization action of the negative air ions. In addition, the electrothermal board of the bed is made from on steel board, so it completely prevents moisture form invading the electrothermal line. The board is very sanitary because it is covered with a cloth with water-shedding quality, and you can sterilize it at high temperature. 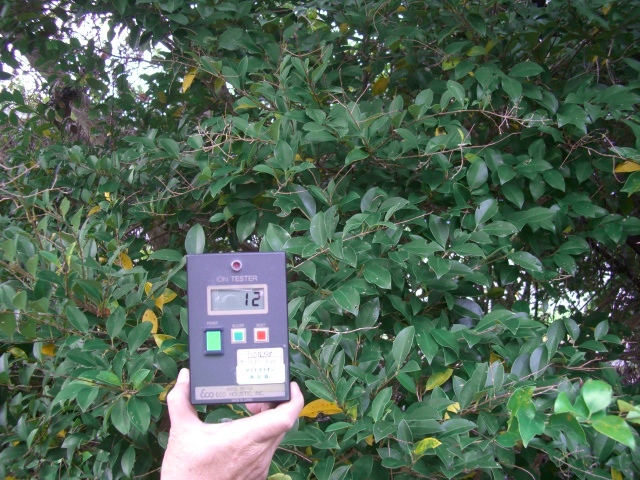 The product includes natural ore, unwoven cloth, electrothermal board and concrete panel. 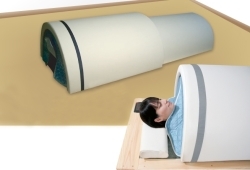 The far infrared radiation dome, which is sold separately, enhances the stone bed experience. 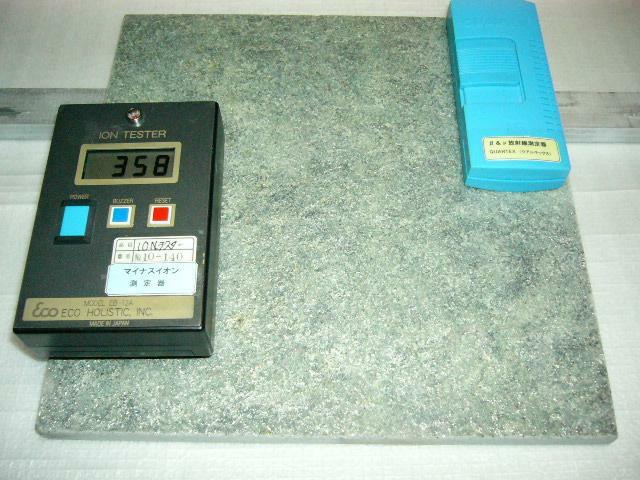 By using this product you are able to raise the temperature of the stone bed more quickly, and to a higher maximum temperature of 70 degrees Celsius. Why is this bed inexpensive? Because our company is a manufacturer company, we can offer this bed at a low price. In our company, one by one, our skilled workers manufacture the bed using the latest technology. 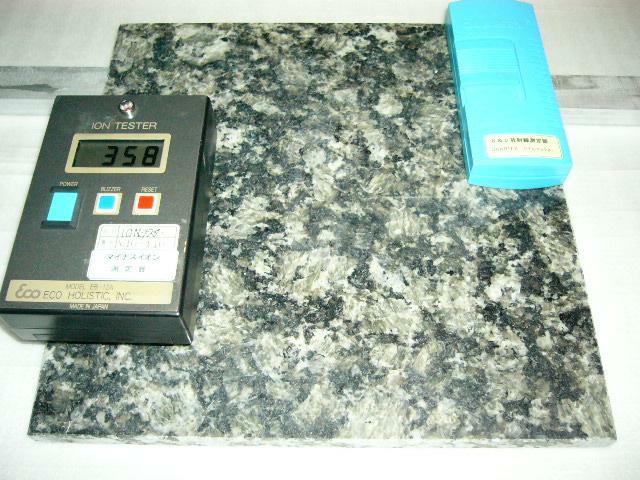 In addition, our company also manages everything from procuring the materials to after sales service.